For blogger, event designer and all-around tastemaker Camille Styles, even an act as familiar as giving a gift is an opportunity to flex some creative muscle. As ardent fans of her down-to-earth elegance, we asked Camille to create a festive gift box for the holidays: something easy enough to whip up ourselves, but pretty enough to wow the recipient. 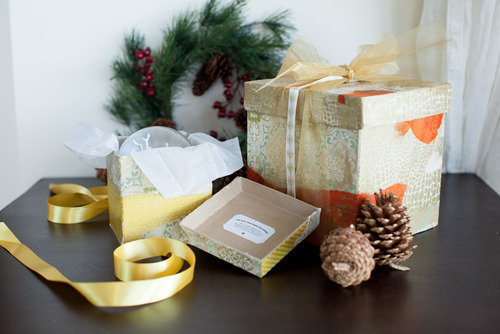 Like St. Nick himself, she more than delivered with a beautiful box that can be used again and again. 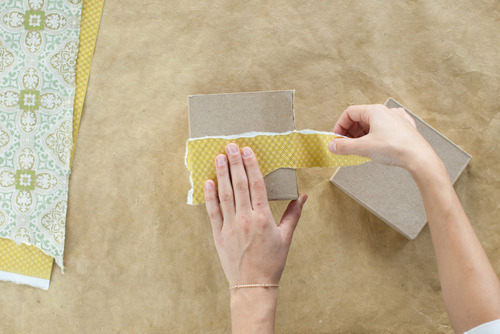 Tear a strip of wrapping paper 2 to 3 inches wide, and as long as you desire. Turn over the strip, and brush on a thin layer of Mod Podge, making sure to cover the edges. Place strip on the gift box and smooth over with your hand. If strip is long enough, wrap around the box corner and smooth. 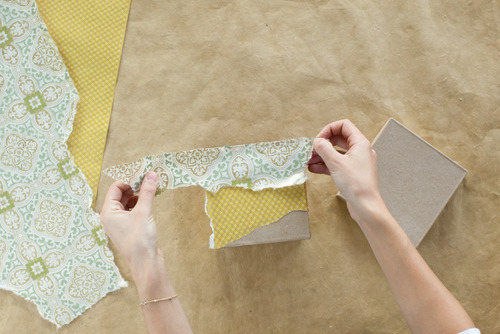 Tear a second strip of wrapping paper in a different, complementary pattern. Brush with Mod Podge and place on box, slightly layering over the first strip to create a collage effect. 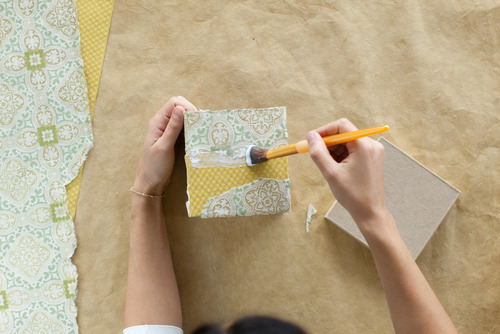 Continue tearing wrapping paper and gluing strips until the entire box is covered, including the lid. 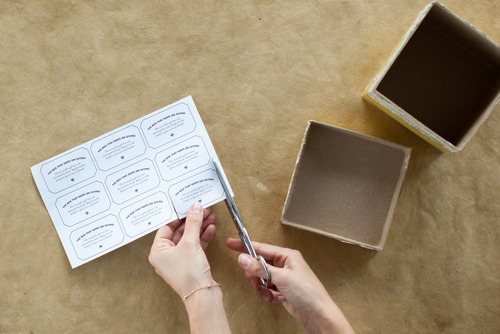 Once the box is covered, use scissors to clean the edges. Then use the brush to generously apply Mod Podge all over in order to seal the collage. Allow to dry. 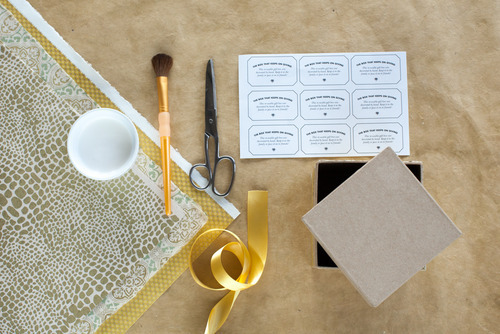 Cut a label from the printable sheet of gift box labels. 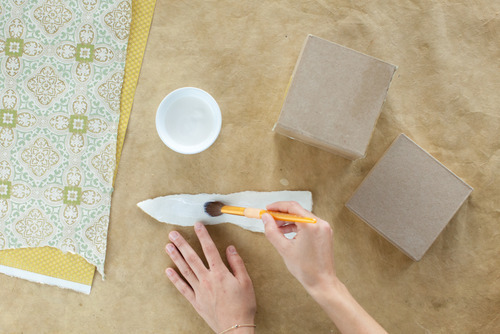 Use Mod Podge to adhere the label beneath the lid, then brush more over the label to seal. 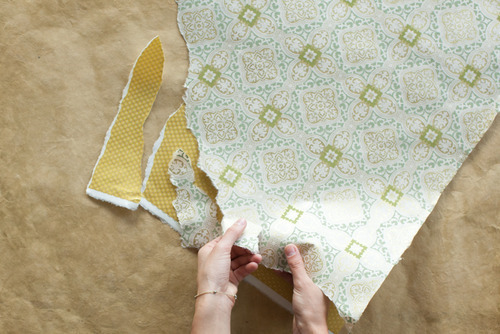 Measure and cut decorative ribbon to desired length. 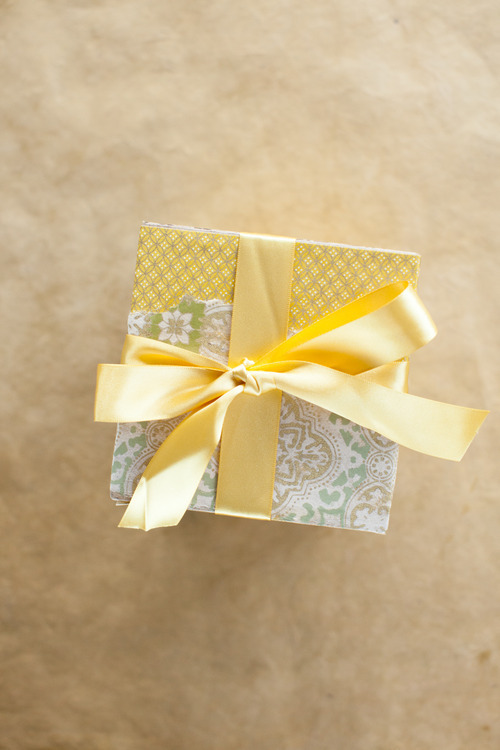 Pack gift into box with tissue paper and neatly tie ribbon into a bow. Ready to give! And give, and give . 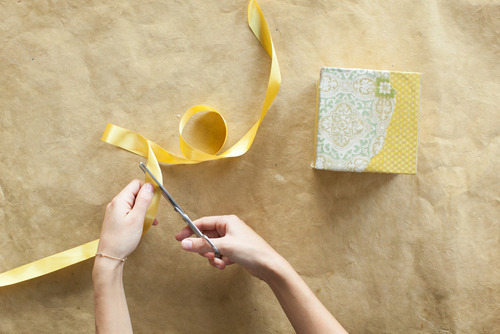 Shop our newest gift wrap.